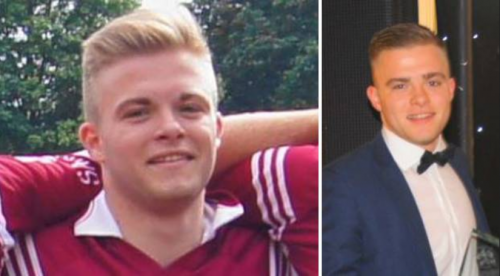 Steps by Mayo County Council to introduce clear rules on roadside memorials have been welcomed by the father of murdered Hertfordshire Gaelic footballer Joe Deacy. But his questions over the removal by the council of two memorials to his son remain unanswered. A draft policy, which relates to memorials erected in close proximity to locations where fatal collisions have occurred, was presented at last week’s Roads and Transportation Special Policy Committee (SPC) meeting. It will now go before members of Mayo County Council for consideration and adoption, at its April general meeting. Under the policy, all existing memorials erected by members of the public will not be affected. “I am relieved that the policy that they are now attempting to implement, displays a degree of compassion,” Adrian Deacy told the Irish World. Where existing memorials need to be replaced, the replacement must comply with the new policy. All new memorials will be subject to ‘site-specific risk assessments’ at all proposed locations. Large permanent physical structures, such as monuments and shrines will not be permitted for reasons of public safety. Mr Deacy was at last week’s meeting. 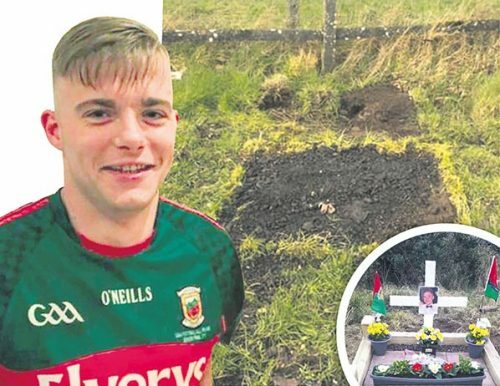 He welcomed the council’s steps to introduce clarity over memorials, but is still critical of its removal of the two memorials to his murdered son. 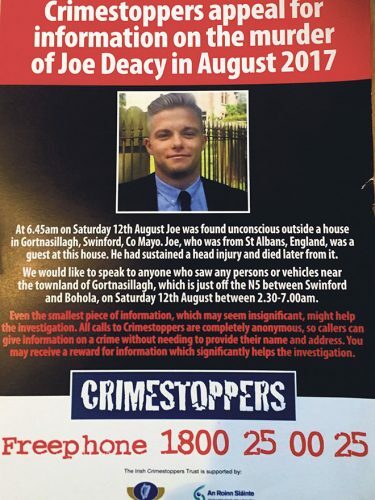 Joe, 21, died from head injuries after he was attacked while on holiday in Mayo in August 2017. To date no one has been charged. Mr Deacy says he has his own theory about why Joe’s memorials were removed, but he did not elaborate. He previously said Mayo County Council had been ‘disingenuous to the truth’ in the reasons it gave for their removal. “My previous belief that, at best, there still persists a level of (disingenuousness) from the council on this matter which is barely credible, still remains firm,” he said. “The questions we have continually raised as to why Joe’s memorials were removed, to date are still being answered in a dishonourable and illogical manner. I am now of the opinion that we will not receive a genuine explanation for this behaviour in the near future. Two memorials to Joe, sited on the N5 near Swinford, and on the Kinaffe Road (R320) near Bohola, were erected on 4 January by his family. Both were removed by the council on 17 January without prior notification to the family. 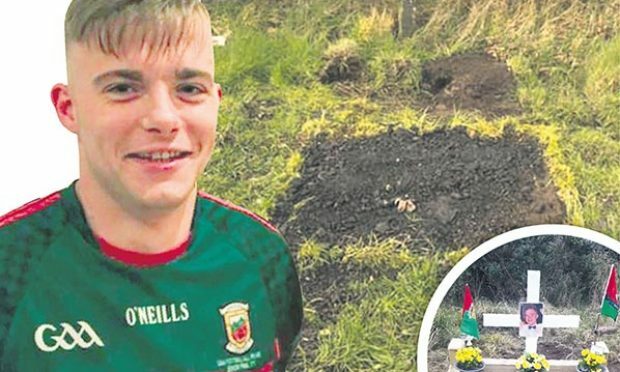 Speaking at last week’s meeting, Tom Gilligan, Director of Services at Mayo County Council, repeated the council’s opinion that the memorials were a “visual distraction” to passing motorists and that they had received a number of complaints. Mr Deacy disputes both of these explanations. 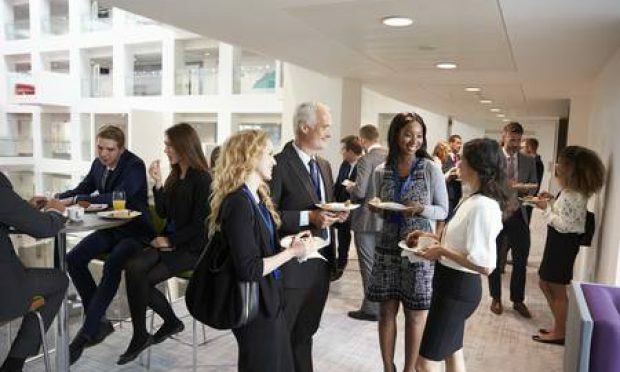 He did, however, apologise to the “honest and hardworking” employees of the council who may have been offended by some of his previous criticisms of the council. 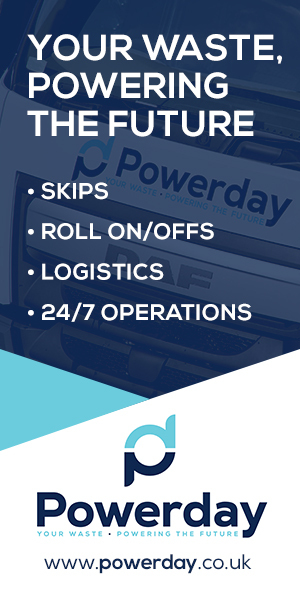 He said: “I obviously realise that the council does a great job for the people of Mayo, and that the vast majority of its employees are extremely honest, hardworking and conscientious. 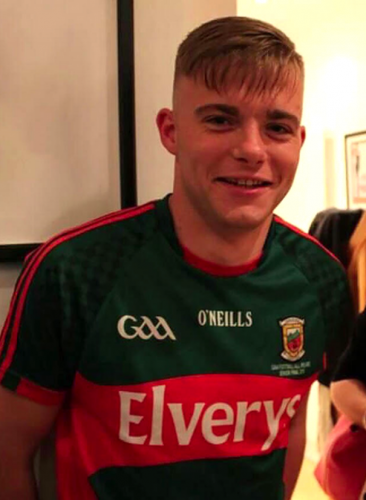 Joe, who played for St Colmcille’s GAA club in St Albans, was found outside a house in Gortnasillagh, near Swinford. 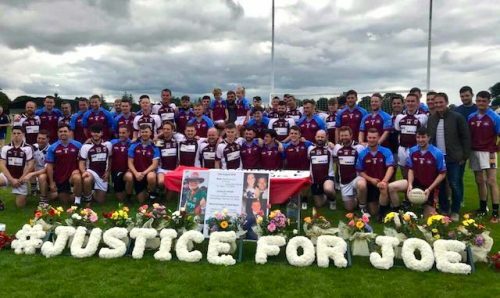 Joe had been socialising with friends in a pub in Kiltimagh on the night he was attacked. 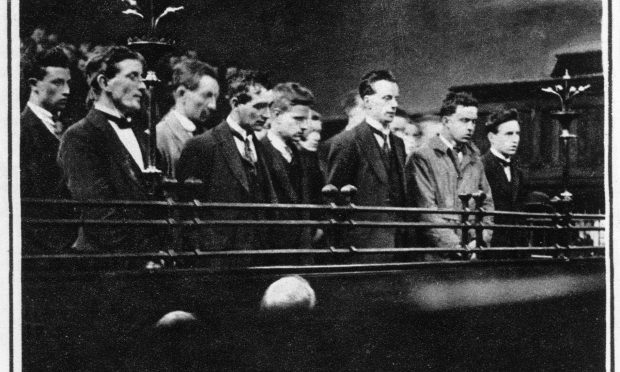 He was taken to Mayo University Hospital and then to Beaumont Hospital where he died a day later.